Puzzling questions ranging from the King of Orgasmic Rock to Peter Perfect. The Picture Round is Warped Pop Stars and the Wild Card is an F1 comparison applied to that madcap cartoon Wacky Races! Q04. What colour are French post boxes? Q17. The Lizard King and the King of Orgasmic Rock were nicknames for which iconic singer? Q23. The idiom three strikes and you’re out derives from which sport? Q31. In the cartoon series Wacky Races what car did Peter Perfect drive? Here’s a low-res sample of the Warped Pop Stars Picture Round, click for a higher resolution version. 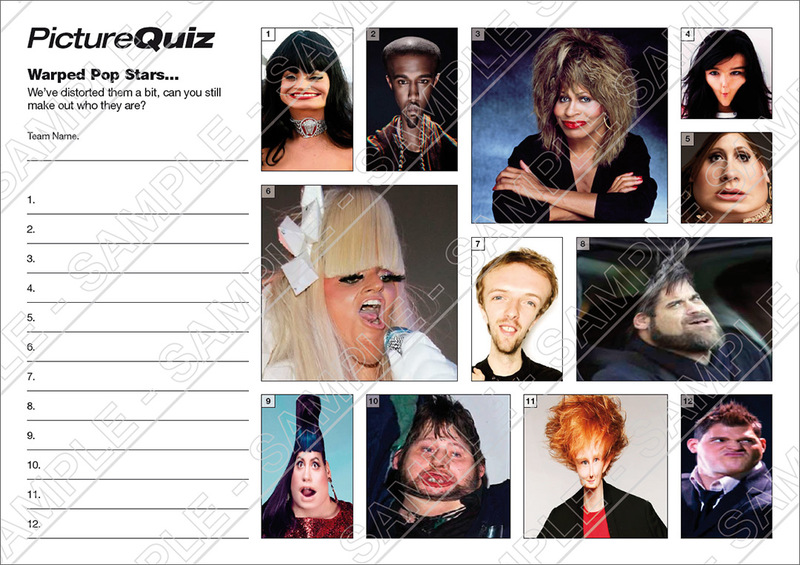 The Picture Round download is a three page high quality PDF with the answers on page 2 and the ‘unwarped’ Pop Stars on page 3. 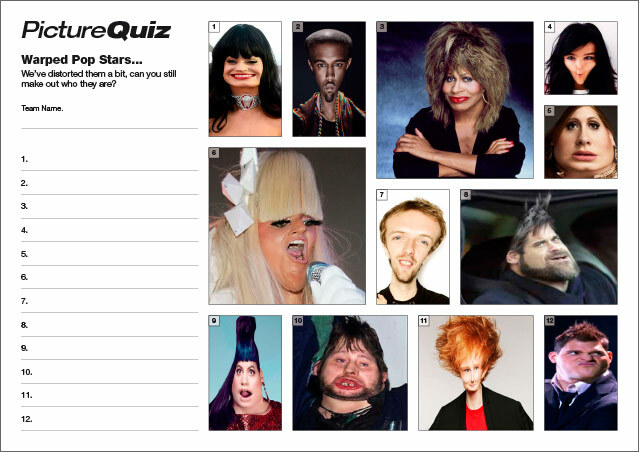 Quiz 41s Picture Round is Warped Pop Stars. We’ve distorted 12 famous(ish) singers can you name them? The Wild Card for Quiz 041 is a an F1 comparison applied to that madcap cartoon Wacky Races!